Some great accomplishments for Red Rider athletes & Red Rider alums over the weekend. It's tournament time, and that's apparently when Red Riders shine their brightest. Orrville junior Madison Monheim turned in two All-Ohio performances in her 2nd consecutive trip to the state finals in Canton. She placed 10th in the 200yd. freestyle in a personal best time of 1:55.37. I noticed that 6 of the 9 swimmers who finished ahead of her were seniors, so I'd like to think her chances of finishing in the top 5 next year are excellent. She also finished 12th in the 500yd. freestyle event, also in a personal best time of 5:11.46. Congrats Madison. Now a 3-time All-Ohioan. I hope she's getting some attention from colleges. 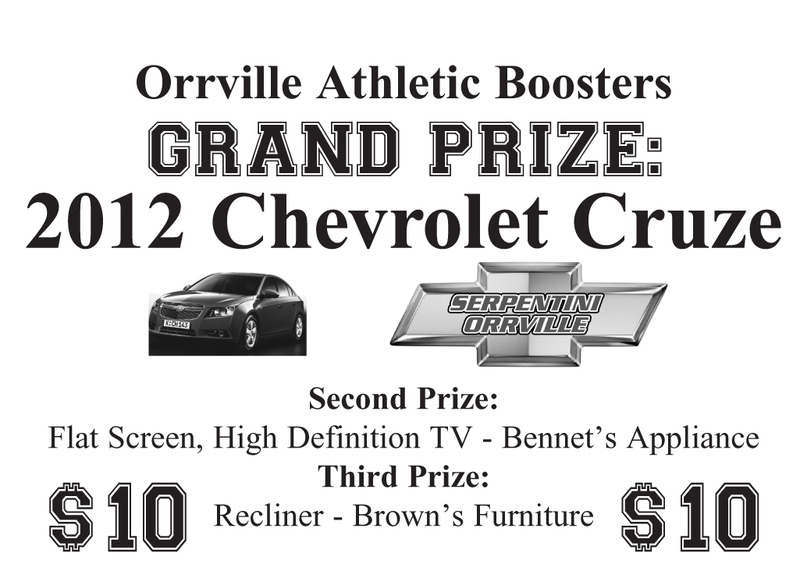 Orrville will again send wrestlers to the state meet in Columbus this coming weekend, as seniors Trevor White (2nd) and Ronnie Lehtomaki (3rd) both punched their tickets by finishing in the top 4 of their weight classes. Both are making their first appearance at state. With 3-time state champ Felipe Martinez (Genoa) withdrawing from districts due to a family obligation, the 170 lb. class seems to be wide open. Ronnie upset the #7 and #8 ranked wrestlers in the 2012 Brakeman Report to punch his ticket to Columbus, and then beat the #14 ranked wrestler for 3rd place just for good measure. Congrats to both and to Coach Hamsher & his staff. It's now been 6 straight years that Orrville has sent at least 1 wrestler to state. Impressive. Strausbaugh entered the tournament as the top seed at 149 pounds. He dominated the early rounds, winning 12-3 in his opener followed by a pin at the 1:55 mark in his next match. A 7-3 victory sent him to the finals against Cameryn Brady. Strausbaugh battled throughout the contest, fighting to a 1-1 tie late in the match after trailing 1-0. Brady was able to hold on and score the final point to win 2-1. A 3-1 loss to Olivet's Gage Pederson in the "true second" bout eliminated Strausbaugh from alternate consideration. Strausbaugh finished the year with a record of 45-6. He entered the regional tied for second in the nation in total wins this season, and completes his junior year with a career mark of 131-26, placing him third on the all-time Wabash wins list behind Healy and Rhoads. Tough way to end for Jake. That "True Second" match is interesting. In high school wrestling, the loser of the championship match is automatically awarded 2nd place, but in college, the loser of the championship match must face the winner of the consolation bracket to establish the "true second" finisher. Gives hope to a wrestler who loses a match that they can still earn 2nd place, but makes it double tough on the loser of the championship match to put that loss behind them and wrestle against an opponent who has won a few matches in a row. The Lady Riders earned a sectional championship by beating Loudonville 62-42 and have advanced to the district semifinals against Dalton on March 1st at 8pm. That game will follow Smithville/Canton CC. Both games will be played at Triway HS. Orrville junior Hannah Plybon ended the season with 396 points, and with 13 in the tourney opener against Tuslaw, has surpassed the 400 point mark for the 2nd straight season. Her current career points total is 1332 (437 for the season), which puts her in 3rd place all-time, just 36 points behind Rhonda Winters' total of 1368, and just 138 points shy of Stacie Howard's all-time record of 1470. The Riders boys ended the season at 7-13 (for the second straight season) and will open tourney play against Chippewa on 2/29 at 6pm at Wooster High School. If they win, they would most likely play Loudonville on Saturday night at 7:30pm. This is a wide open district that any of 5 or 6 teams could win it, so it will come down to which team is playing the best over the next 2 weeks. We've seen glimpses of what this team is capable of, it's just a matter of going out and executing. I don't mean to make this a point of bragging, but I don't think an Orrville team has lost a district tournament game on the floor of the new Wooster HS. The school opened up in 1994, so the first district held there was in 1995, and we won that district on our way to state. In 1996, we moved up to division 2 and didn't play districts there, and I'm pretty sure we were division 2 ever since, up until 2009-10 when we dropped back down to Division 3, and we've won the last 6 tournament games on that court. The 1995 district final win over Norwayne was held at the Canton Fieldhouse, so technically only 2 wins that year were at Wooster. And in 2010, the district final was held at the College of Wooster. So by my count, that's still an 8-0 record in tournament games played at Wooster HS since it first held a district tournament in 1995. It wasn't the best season for The University of Nortwestern Ohio men's basketball team, but it was an impressively good season for their leading scorer and Orrville grad, Jake Bolyard. Just a 7-23 record for the Racers, but Bolyard averaged a school record 22.4 points per game and was recently named 2nd Team All-Wolverine-Hoosier Athletic Conference (WHAC) for his efforts. His scoring average was 3rd best in all of NAIA Division 2, and he ranked in the top 16 of eight different offensive categories among WHAC players. Makes you wonder what a guy has to do to make the first team? Congrats Jake!! I mentioned to of our alumni excelling in college, but I'm always interested in hearing about others. Please check out my "College Riders" section and let me know if I've left anyone out. I just reviewed the list and had some new additions and removed some too. If you missed the premiere of the full 30 minute special of Coach Bob Knight coming back to Orrville, be sure to catch it. Excellently done. It will re-air Monday 2/27 at 6:30pm and Wednesday 2/29 at 6pm on ESPNU. I typically don't like to dabble in speculation, but this is one of those cases where I've heard this from several different sources and right now the noise of this is just too loud to ignore. It depends on who you talk to and what version of the story you're hearing, but the result in each case seems to be the same....Orrville is seeking to exit the Ohio Cardinal Conference and either join an existing league, or form a new one....possibly as soon as a year or two from now. I'll review what I've heard and where I think our ENTIRE athletic program would fit the best. For the record: The Daily Record's Aaron Dorksen wrote about this very topic in today's edition. What you'll read below is 100% my original thoughts, research and opinions and was actually completed yesterday before Aaron's article was read. Just don't want anyone thinking I'm reacting to his article or pulling information from the work he puts in.